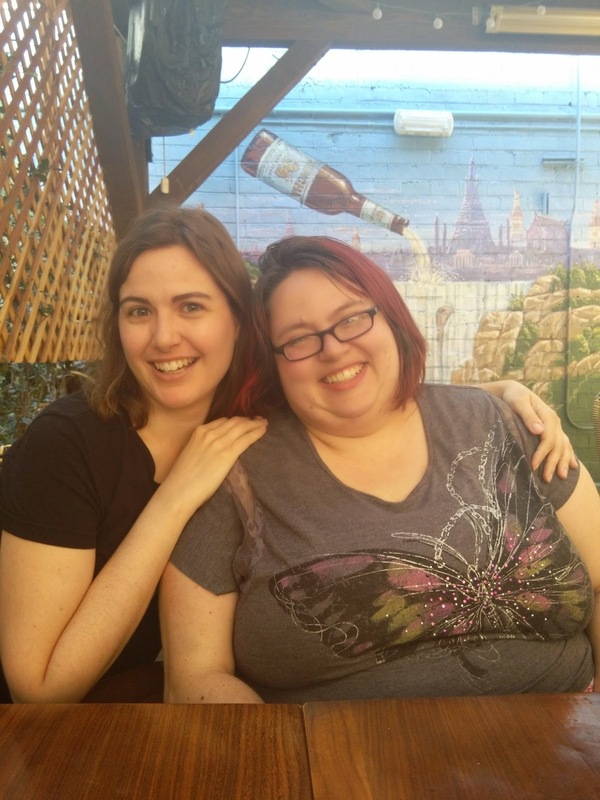 Please welcome Megan as our most recent guest blogger! Hi, my name is Megan. I am mildly willing to admit I may have a problem with books. Problem is probably not the best term for it. I have an obsession, a mania, a philia. Some might call it a Gentle Madness. In my home I have over 5,000 books. Books that I have never read. Waiting in piles for me to find time and energy for consumption. These piles around me used to be piles of guilt, but it was fairly recently that I discovered, even on the day I die, I want plenty of books to choose from. There is a certain sadness in thinking about only having one book left to enjoy in this mortal world. But these piles of books are not my story. Or not the story of today. Once, in my dark past, I used to be a person with lots of piles of books and a blog. These things were the entirety of my book passion. I was silent in my love for books until I was able to start describing them with poorly chosen sparse words. It was through my blog and twitter that I was able to connect with other passionate book lovers. It was through these connections that I was really able to hone down what type of books I loved to read and talk about. There is something a little hipster about it, but I loved dystopian fiction before it was cool. Before anyone even knew the term as a concept or genre. And that was how Lenore and I “met”. Lenore Appelhans is a dystopian reading, cat loving, book person. We blogged about LOTS of books and read and discussed a few together. But Lenore lived in Germany, so opportunities for our physical lives to cross paths were slim. One day I up and bought a bookstore, and one day she announced a book deal. The way the world converges is just fascinating to me. My bookstore has at least 15,000 books piled up around me. The guilt is gone and the hope that these books will go to homes where they will be enjoyed, loved, devoured, consumed fills my daily life. The special honor of selling the books by friends who weren’t published when we first connected. As it happened Lenore’s first book was a dystopian young adult novel (these are my favorite kind of books) AND I now owned a bookstore where I could push it upon the masses. In a nice synchronicity of it all, Lenore’s book came out on my birthday. This weekend we were able to meet in person for the first time. And that is my poorly written, meandering story. The way that life can be kissed with kismet and that the form of realty can have completion like that of a fiction. 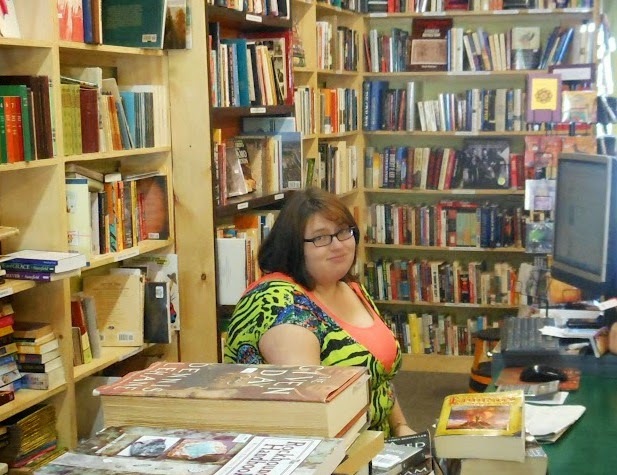 Megan O’Sullivan realized her life’s dream on May 10th 2012 when she purchased a used book store in Cedar City, Utah. Born and raised in Connecticut, she moved to Cedar City in 1999 back when she was young and foolish. It is still, to this day, one of the best bad decisions she ever made. You can read her rarely updated blog at poseysessions.blogspot.com and find her on Twitter at @poseysessions.